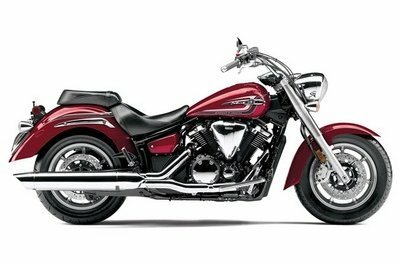 The 2014 V Star 1300 is a versatile motorcycle that rewards you with a comfortable and fun riding experience every time you jump on its back. Designed to turn heads, the Star Motorcycles V Star 1300 is an attractive cruiser wrapped in a modern skin and covered with lots of chrome. 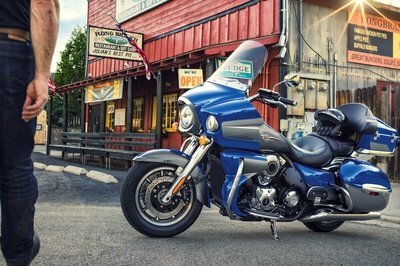 You’ll especially like the motorcycle’s 3D tank emblem, the retro-modern bar-mounted instrumentation, the bright multireflector headlight and the LED taillight. The Star Motorcycles V Star 1300 is propelled by an 80 cubic inch (1304 cc), liquid cooled, single overhead cam 60 degree V twin engine with computer-controlled twin-barrel fuel injection and four valves per cylinder. The engine sends its power to the ground via a 5 speed transmission with multiplate, wet clutch. 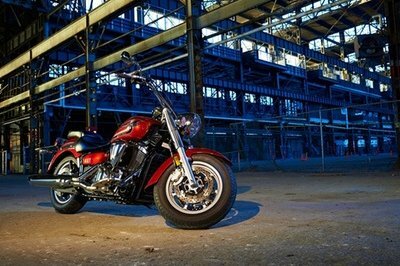 The Star Motorcycles V Star 1300 is offered with a base price of $ 11,290. 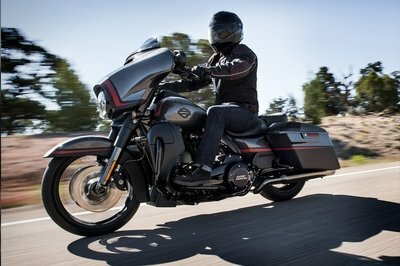 Hit the jump for more information on the Star Motorcycles V Star 1300. A Star That’s Just Right. Not too big and not too small but with a personality all its own. 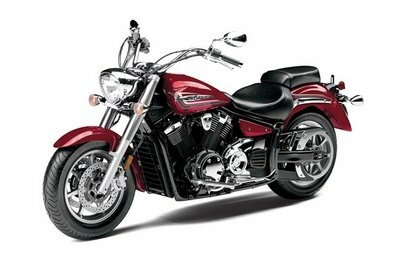 That’s the V Star 1300 with its belt drive, powerful 80-inch V-twin, steel fenders and flangeless fuel tank. Star quality from stem to stern and the looks to turn heads all in a package that is designed to navigate the urban maze in style. • This midsize Star® brings modern classic styling along for a lighter, sportier, hot-rod-inspired ride. 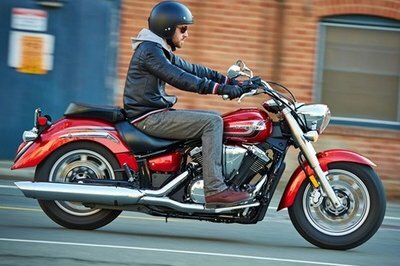 • 80-cubic-inch (1304cc) liquid-cooled, fuel-injected V-twin produces excellent power across the board along with a highly stimulating exhaust note. 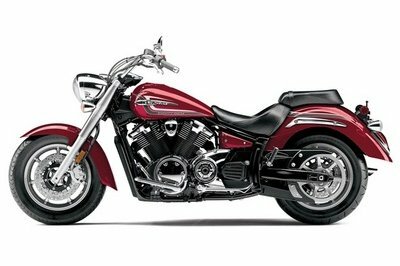 • Modern-classic design, including a two-into-one exhaust, gives the V Star 1300 that distinctive Star look. • Steel chassis gets 48 percent of the bike’s weight on the front tire, for quick, light handling and maneuverability. • Authentic cruiser features such as belt drive and steel fenders open up the customization possibilities even further. 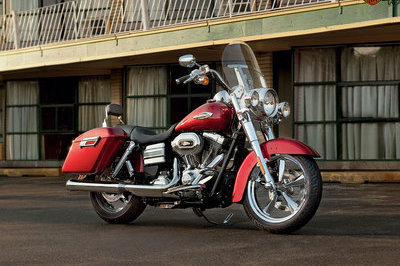 • Estimated 42 mpg* means over 200 miles of riding between fill-ups. • The Star Accessories Catalog is packed full of high-quality parts that invite Star owners to fully express their individuality. 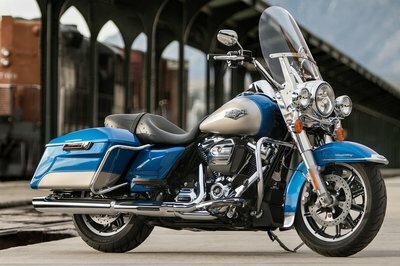 • 80-cubic-inch (1304cc) liquid-cooled, single overhead cam 60-degree V-twin with dual counterbalancers offers plenty of smooth performance. • Computer-controlled twin-barrel fuel injection provides optimal mixture whatever the temperature or altitude. • Four valves per cylinder (36mm intake, 32mm exhaust) provide optimum combustion efficiency; roller rocker arms reduce friction for better performance and reduced wear. • Ceramic composite cylinder sleeves contain 100mm forged pistons for excellent durability and longevity. • 9.5:1 compression ratio and aggressive cam timing produce plenty of power across the board and a distinctive exhaust note. • Forged connecting rods ride a single crankpin for true V-twin sound and power. • Smooth-shifting transmission feeds power to an efficient, low-maintenance belt drive. • Sly cooling system routes liquid through hidden hoses and internal engine passages for air-cooled looks and liquid-cooled performance. Oil filter is easy to get to but also tucked nearly out of sight for clean looks. • Hydraulic cam chain tensioner reduces noise and maintenance. • Steel cradle frame has four solid engine mounts—including one atop the front cylinder head—for maximum rigidity and excellent handling. • Stylish, braced steel swingarm and rear wheel are controlled by a single linkage-mounted shock absorber, adjustable for spring preload. • 41mm fork tubes with stainless covers look great and serve up a smooth, controlled ride. • The shape of the seat has been designed with a “dish” shape for great comfort, and it allows riders to touch the ground easily. • Fuel tank carries 4.9 gallons of fuel. Mounting the fuel pump in a separate, tucked-away sub-tank allows the thin tank design. • Seven-spoke cast wheels and matching rear pulley mount fat, 16-inch tires for a cool period look albeit with big contact patches on the road. 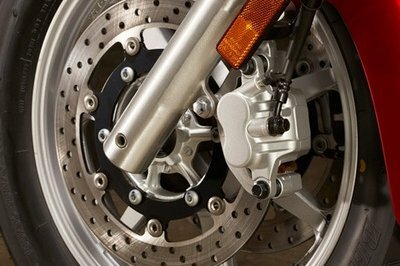 • A pair of 298mm front brake discs provide excellent power and feel. • Strong, light and low maintenance belt final drive routes power smoothly and efficiently to the rear wheel. • Star quality paint, chrome and detailing vie for attention wherever you look; fenders are steel not plastic. • A 3D tank emblem design adorns the V Star 1300 and evokes a modern-classic look. 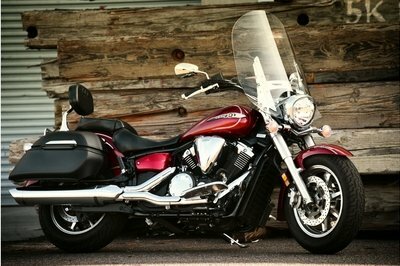 • The V Star 1300 gets lot of chrome with a chrome headlight housing and chrome belt guard. Plus, there’s a gloss black finish on the frame that adds a high-quality look. • Retro-modern bar-mounted instrumentation contains analog speedometer along with LCD display; indicator lights for high beam, turn signal, low oil level, low fuel, coolant temperature, neutral—and engine diagnostic function. • Rider floorboards for comfort and room; heel/toe shifter makes moving through the five-speed gearbox a snap. • Bright multireflector headlight, LED taillight and amber turn signals behind clear lenses give a custom look. • 02 sensor and catalyst reduce emissions. 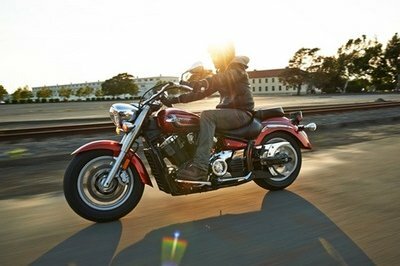 The V Star 1300 has a lot to love. For the starters it comes with a bullet proof built quality so is reliable to the core. It also has a pretty flexible character and can be used for both long and short journeys. You also can spicy it up and give it a custom look without any problems thanks to its relatively simple construction. On the windy roads, the V Star 1300 offers a very enjoyable ride thanks to its smart combination between the double-cradle steel frame, belt drive, and the well-controlled suspension system. You also get first class brakes and a very responsive engine.